It was a dark and stormy morning…..
As we drove over the Mississippi River into Iowa, the wild sunflowers were glowing in the sun. At this time of year the wild grasses have a silvery feathery top on them. It is so lovely. We decided to drive north through Iowa to Minnesota then over west to South Dakota. 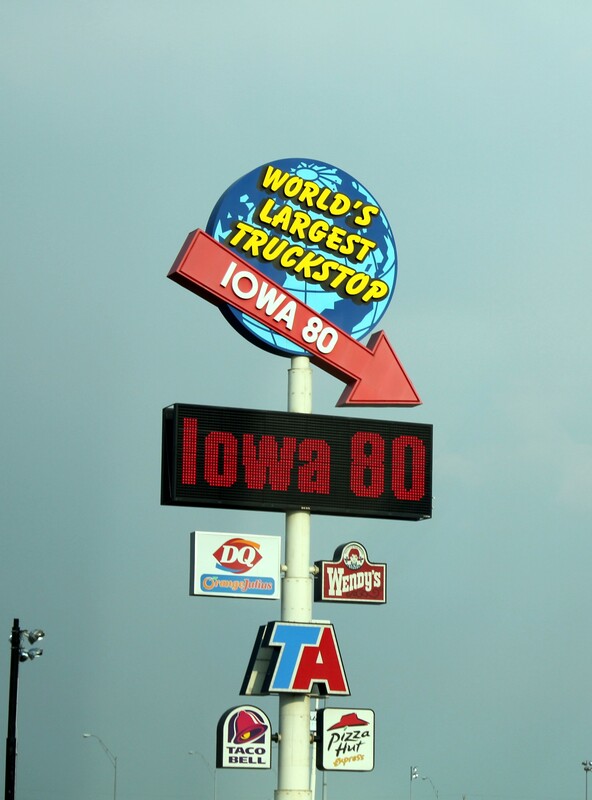 We drove past the world’s largest truck stop. As you can see the sky was starting to darken. We hit hard rain several times, hard enough to have to pull over. We saw several cars in ditches but thankfully everyone was fine. The skies cleared as we reached South Dakota. 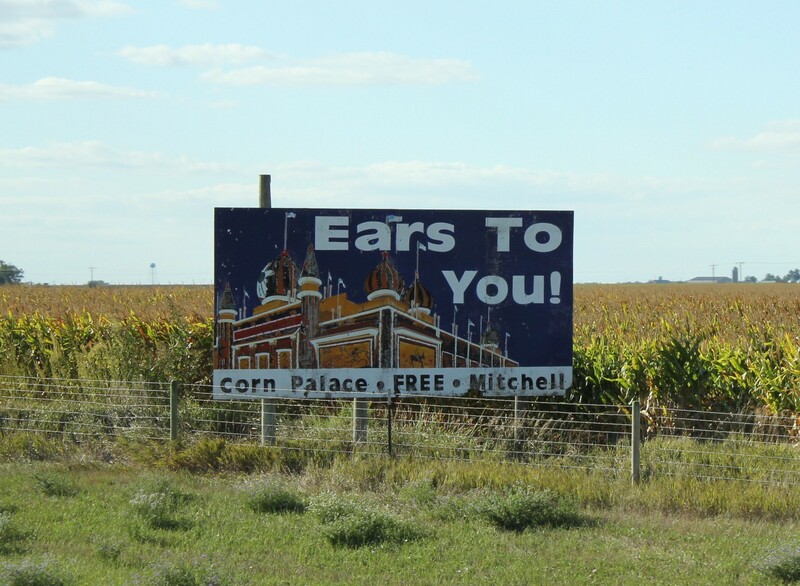 We realized fairly quickly that people in South Dakota really like signs. I mean they really like signs. We started to see a few signs here and there. But then we saw one we couldn’t ignore..
Hmmmm. 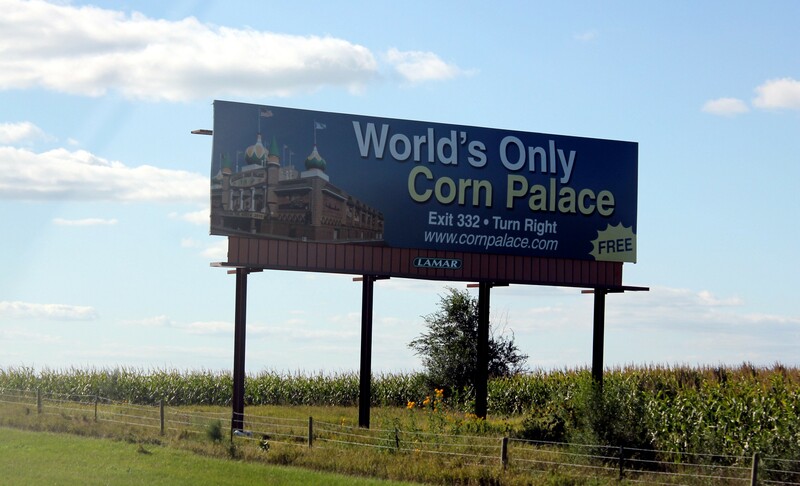 A Corn Palace? 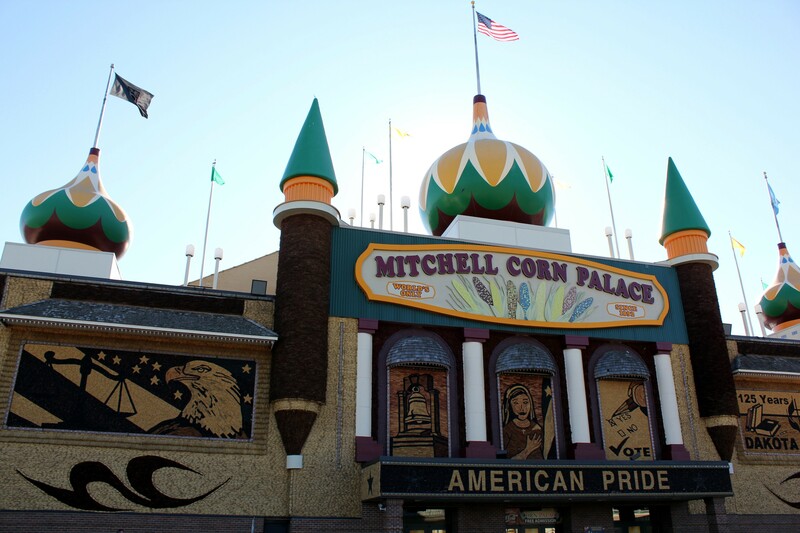 The world’s only Corn Palace? The little so and so…. 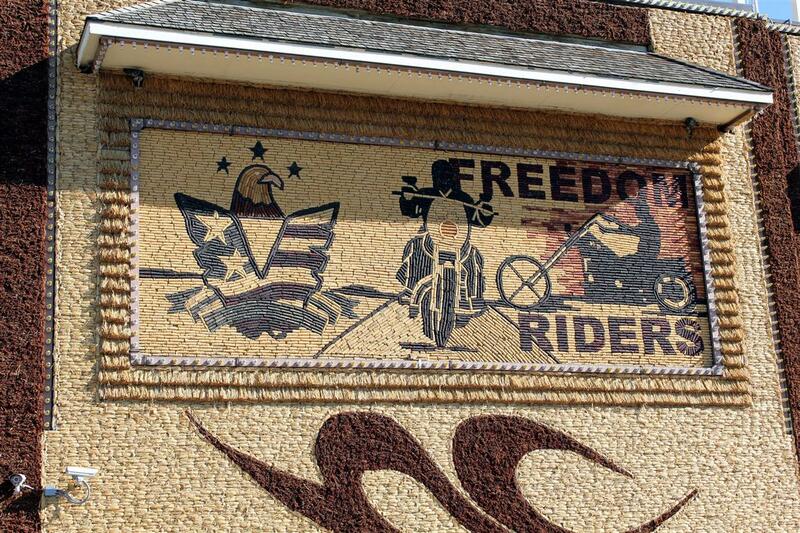 And there was a corn palace..and it was free. These people like corn. A lot. 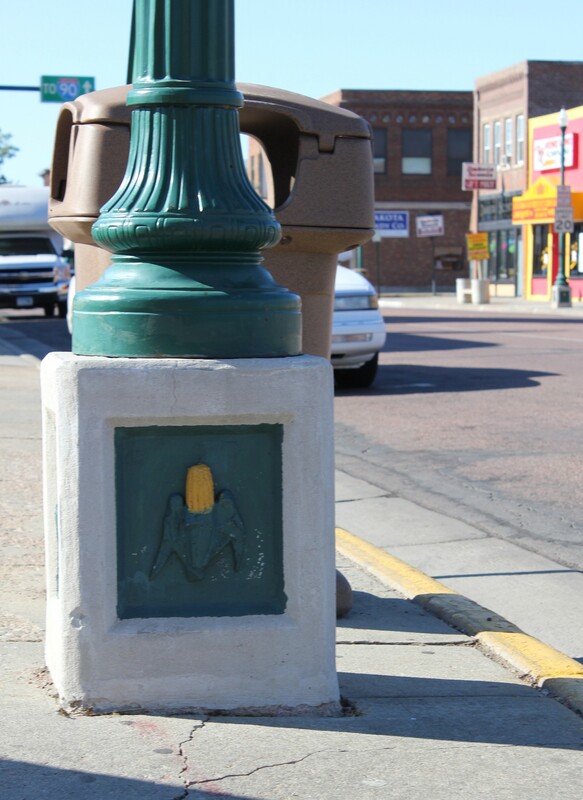 Even the street posts..well you can see for yourself. They like corn. And then we saw the Corn Palace in all it’s glory. I had envisioned a sort of Lincoln Log type of model built with corn but oh no this was much bigger. In fact these people took a perfectly good building (albeit one with Russianesque onion domes and medieval turrets painted in glaring greens and yellows) and glued 300000 pieces of corn and various grasses all over it. It is pretty impressive. I can’t even get two sheets of paper to stay glued together. If I was the one who glued all that stuff on, people would be getting boinked in the head from falling cobs..so kudos to them. Apparently they’ve been doing this every year for a good long time. Every year has a theme. This year’s theme was American Pride and Transportation. Cause you know we are just not a patriotic enough country..and lord knows none of us drive enough. 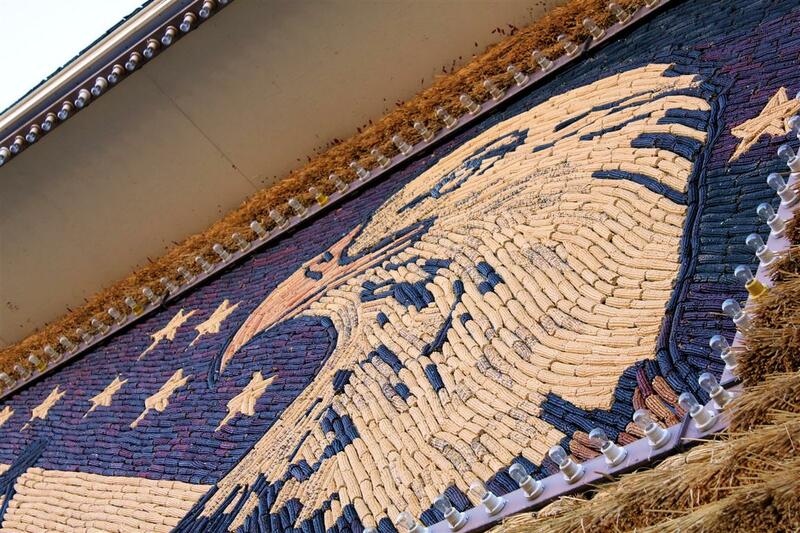 A closeup of the corn. Why did they do it? 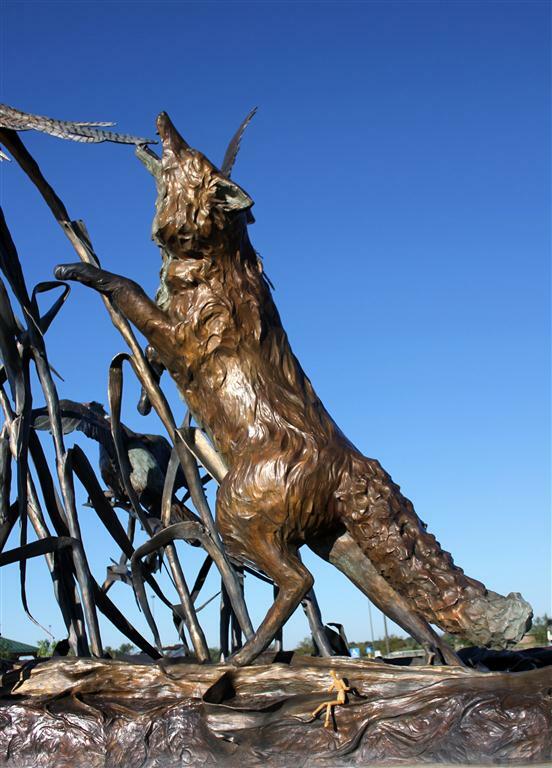 And how do they stop the lights from setting the dry grass on fire? 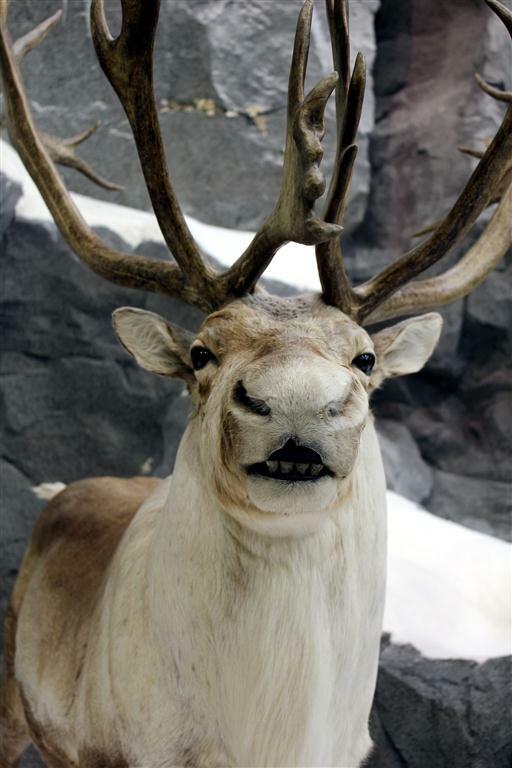 We made a quick stop at Cabela’s to look at dead animals and an iron sculpture.. Dummy lost his manners and ignored the signs telling people not to climb on the sculpture. So he had to go in the glove box for a while. Next > The billboards…the drive continued..
so THAT’S what’s on the other side of the Hudson River….. 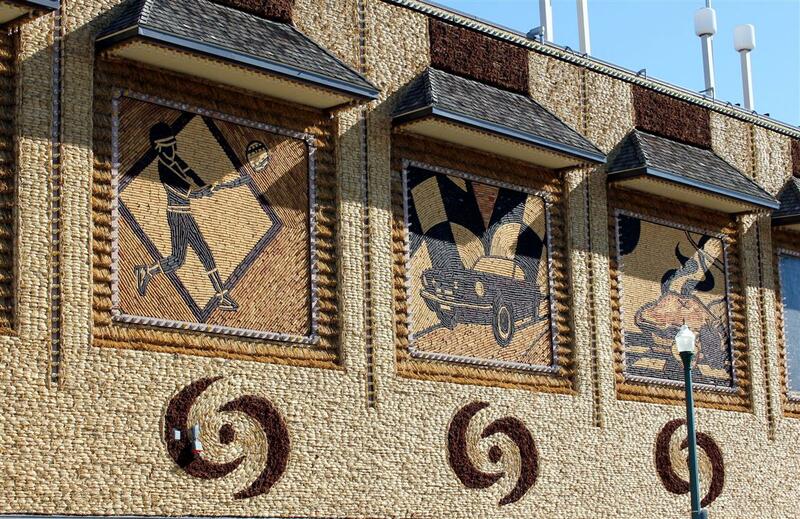 Loved the travelogue and the corn palace.